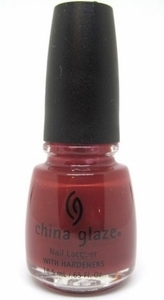 China Glaze Nail Polish, Gypsy Cocoa, CGX058, .50 fl. oz. Warm, deep brick red creme nail color with earthy brown undertones.